The Aimia Hotel is a small boutique hotel in Majorca, located in the Port de Soller, only few metres from the local beach with privileged views over the sea. 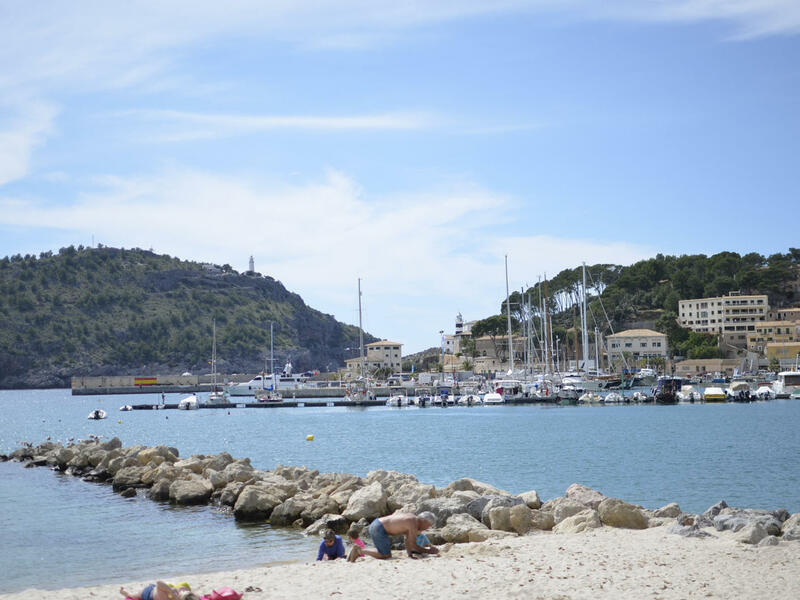 A hotel in Port de Soller, ideal for visiting the island of Majorca, for getting to know its fine beaches, such as Sa Calobra or the Cala Deia, and for going on hiking excursions through the Serra de Tramuntana part of the Unesco World Heritage Sites. 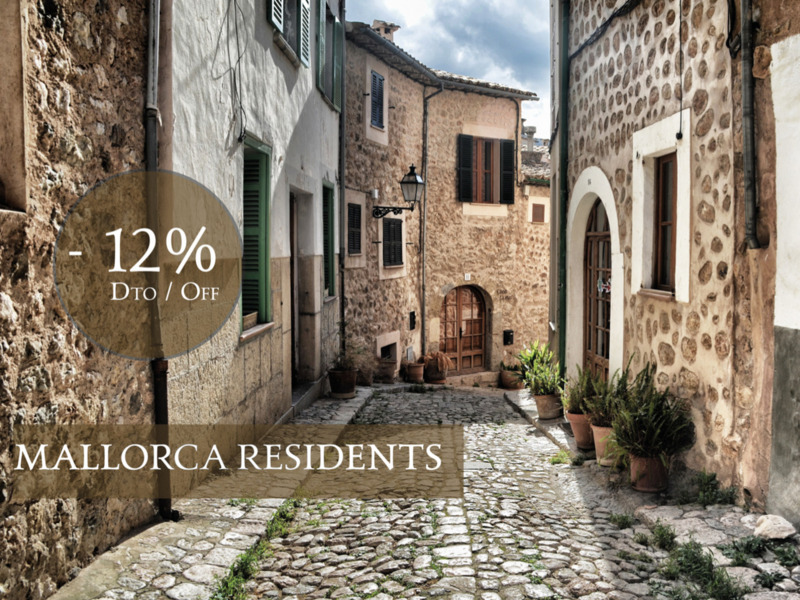 The Aimia Hotel is one of the Soller beach hotels where you can enjoy a deserved rest. In addition, it boasts a spa and fitness area to relax after a day out, wandering over the island. 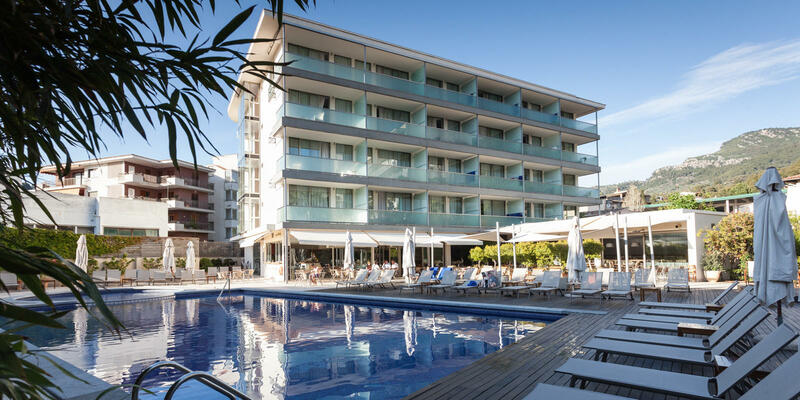 Further, it is a four-star hotel in Port de Soller, with a modern architecture, simple and functional, created to offer its guests ample space for rest and relaxation. A hotel with a home-from-home feel, paying attention to small details to ensure that their guests' stays in the hotel and in Majorca are memorable experiences. The slogan of Aimia Hotel, "The calm day", summarises its philosophy. The Aimia Hotel restaurant is called Airecel and you will find it besides our courtyard, making it a very luminous space. 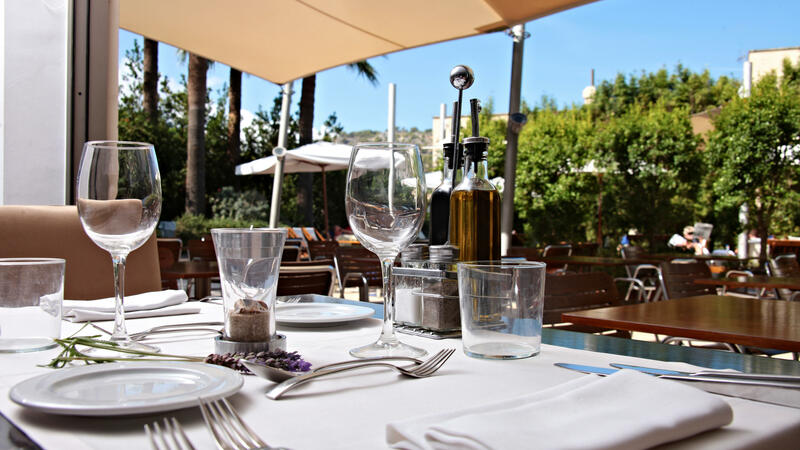 Our restaurant has an exterior terrace for summer and an indoors dining room for the chillier months in Port de Soller. 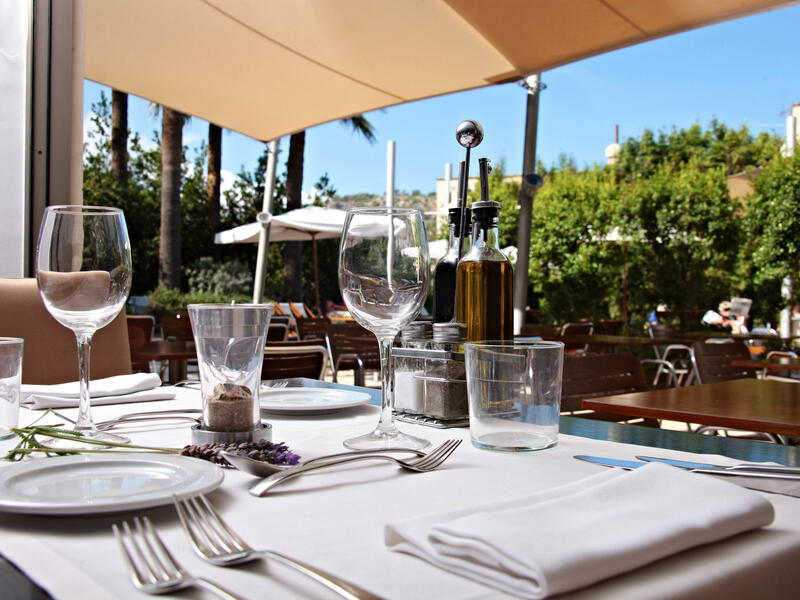 At its tables take place business lunches, meetings with friends for a bite, or romantic dinners after a long walk at the Port de Sóller. The superior rooms at our boutique hotel are spacious and decorated with all the elements to make your holidays a delightful experience. 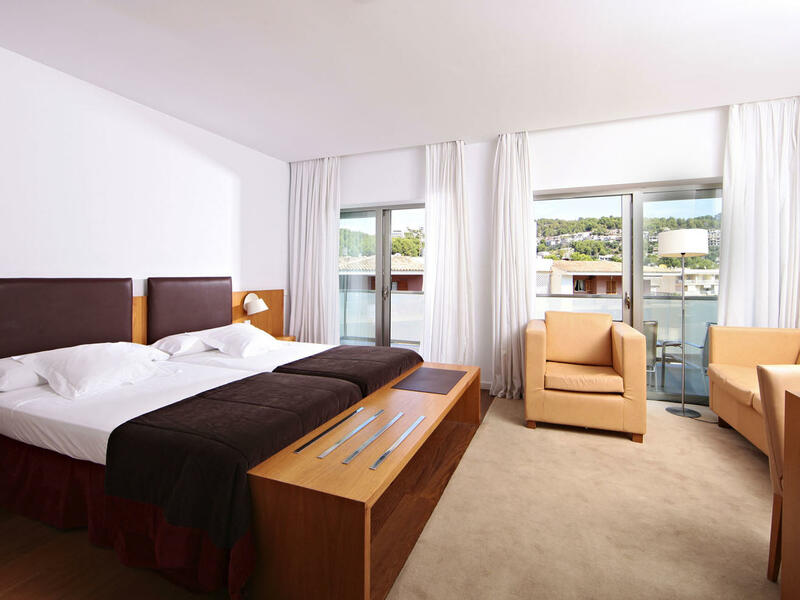 To add an extra to your holidays, choose the superior room with sea view, and you will rest gazing at the sea. 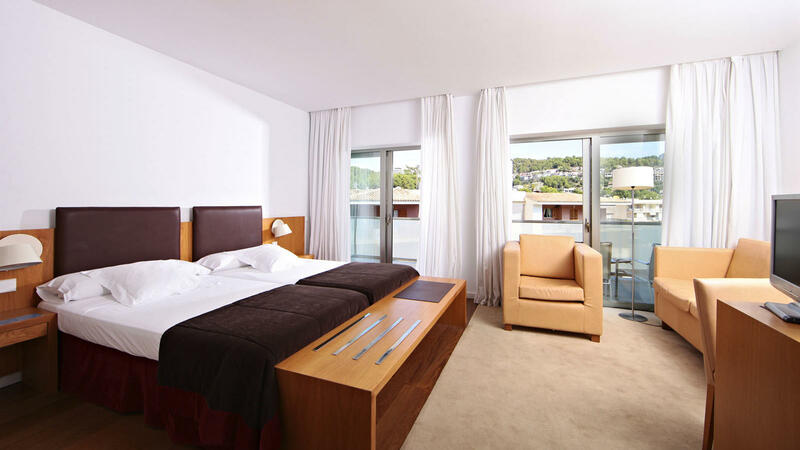 The Aimia Hotel guarantees you that by booking directly on our website you will be offered the Best Possible Rate. In fact, if you will find a lower rate, we will match it and give you an extra 5% Discount! Please see our special Terms and Conditions. 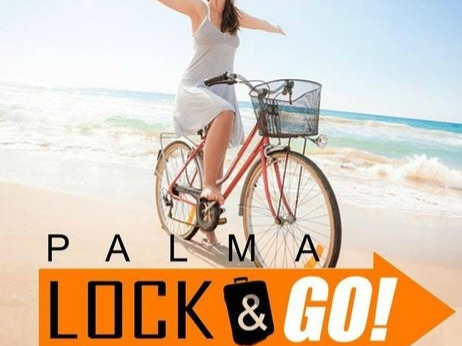 Bullimoto is located in Palma and Port de Sóller at only 5 minutes walking from the Aimia Hotel, however they also can deliver your bike just in front of the hotel! The Maverick of the Sea has large indoor and outdoor spaces like that make the boat very comfortable and 12 passengers can enjoy without overwhelmed. It has a lot of interior roominess and large windows that make it very bright. Its interiors made of solid teak, give warmth and create a pleasant atmosphere. Carlos Sequeiro is the owner of Maverick Sea, an experienced captain and chief engineer of the Spanish merchant marine and MCA with over 60,000 miles navigated around the world, will offer a personalized service to create a good ambient onboard and safe navigation. Mezzo Magic has been operating out of Soller since 2005, when Chris and his father Mark set up Mezzo Magic Sailing to share there passion for both sailing and the North West coast of the Island. There is not much Chris and Mark and the rest of the team don’t know about the local area, so feel free to fire your questions at them. Contact with our Team to enquire. Since 2016, the Aimia hotel has become a member of the French group “Alvotel”, which gathers a selected collection of independent Boutique Hotels, situated mostly in exclusive locations in France and Mallorca. We invite you to discover more about Alvotel group and our unique hotels.